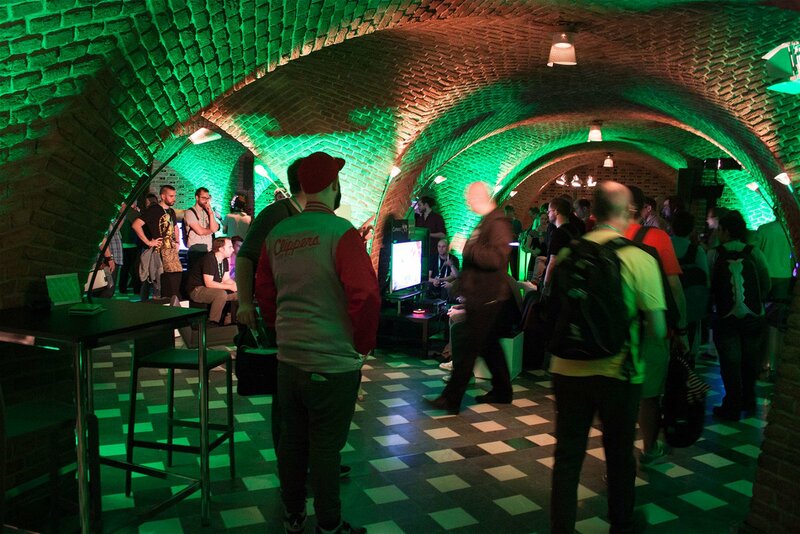 Over the last few years, I’ve covered a number of video game events:The PlayStation 4’s launch, GDC, E3, and countless other gaming-focused press conferences—but nothing in my career prepared me for the insanity that is Cologne, Germany’s Gamescom. 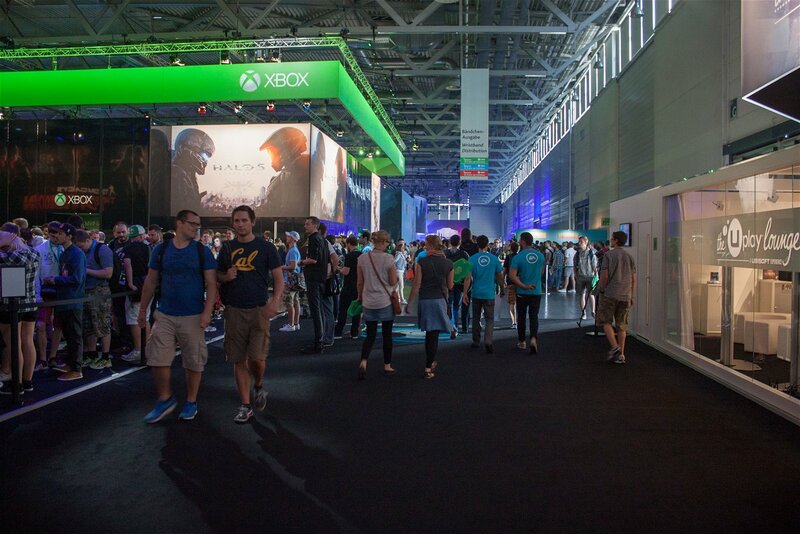 Gamescom is an enormous E3 on steroids. It’s bigger, smellier, and more confusing than any event I’ve ever attended—it’s also super unorganized and language barriers often become an issue, although many people, both attendees and staff, speak English (which is beyond impressive to me since I can only speak and write in one language). As someone who’s never been to Gamescom before, let alone Europe, I suffered from a bit of culture shock during my first day in Cologne, especially while trying to figure out the city’s tram system (the European data plan I purchased from KnowRoaming helped a lot with my navigation difficulties, thankfully). A Gamescom show floor pass gave me free public transit access and as a journalist (contrary to popular belief, we don’t make a lot of money), saving money on not needing to pay for expensive taxi rides is always a good thing. When I arrived at the event with my pre-printed ticket, I assumed my trade admission would need to be exchanged for a new, freshly printed press pass and a fancy lanyard. Instead I was told to hunt down a lanyard on my own (they were distributed from boxes located near the entrance), and to also fold up my printed pass and slide it into the lanyard’s plastic pouch. I’ve never had to do this at a gaming event before, but to everyone else in attendance, this seemed normal (at least as far as I could tell). The layout of the building where Gamescom is held is also confusing. 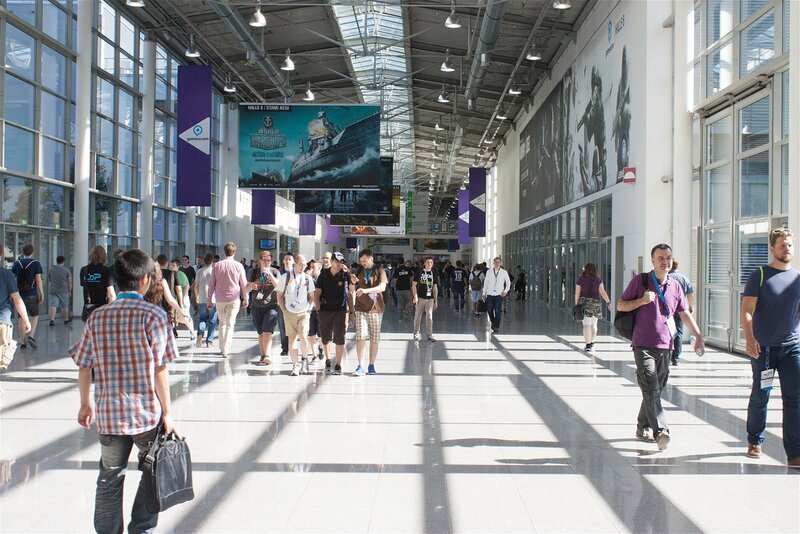 Instead of being divided into two relatively simple north and south halls like E3, the Koelnmese—the massive spanning hall where Gamescom is held—consists of various floors, and also spans different buildings and sections (business and entertainment), all linked by a confusing courtyard. These multiple buildings (there are approximately seven) are also enormous. If you’ve been to E3, imagine the expo’s north and south halls cloned a bunch of times and then throw in an ultra-confusing layout—that’s Gamescom. Needless to say, Gamescom was initially difficult to wrap my head around, and I’m glad I planned out the location of all of my appointments ahead of time, most of which were confined to the business/trade section of the show floor. Also, since traveling from one end of Gamescom to the other takes a significant amount of time, leaving at least 15 minutes (a half hour is often better) between appointments was a solid decision I’m glad I made while putting together my schedule. This is because, unlike E3, Gamescom isn’t just a trade show. 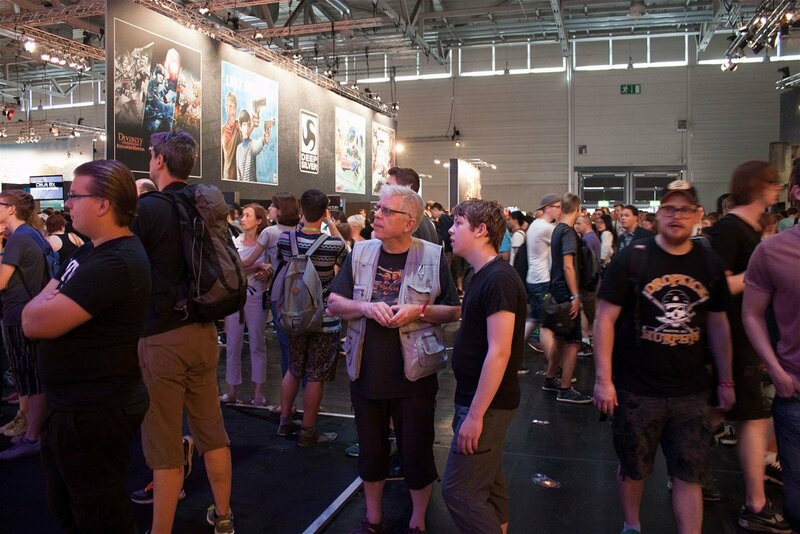 Instead, the conference is a combination of E3 and fan-focused events like Comic-Con, since it’s both a trade show and a public event (the fact that a general admission ticket only cost between $35 and $40 Euros is also a big part of why Gamescom is so popular). At one point, I attempted to hunt down food and accidentally found myself in the entertainment area of Gamescom, where I surprisingly actually ended up finding reasonably priced pizza (reasonably priced food is a rarity at gaming events). But the following day, when I tried to hunt down the same pizza place in the confusing maze that is Gamescom, I was unable to locate where I ate at the day before. Half of me thinks this mythical place I ate at didn’t exist in the first place and was just a mirage created by time zone-jumping exhaustion. In another situation, I had an appointment on the general public area of the show floor and it took me approximately an hour to navigate through the crowds to where my interview was located. If you’ve been to Comic-Con and thought that maybe at times it was too congested, Gamescom is probably twice as terrifying. If you’re on the job and trying to get things done, just stay away from the entertainment area. At times, Gamescom’s entertainment floor is physically impossible to move through, and this is something I learned the hard way. This happened to me while trying to move from the entertainment building to the business area. It was around 3 p.m., the height of attendance at Gamescom, and I was desperately trying to make it to 2K’s booth for a Mafia III presentation and interview. I ended up being a few minutes late but luckily still got in (most industry people are pretty understanding when it comes to being slightly late for appointments). And I’m glad I did, because Mafia III is by far the most exciting game I saw at Gamescom. Making all of your appointments ahead of time is also a good idea because, unlike E3, gaming PR doesn’t seem to appreciate drop-ins at Gamescom (not that they’re big fans of this at E3 either). And if you thought maybe it might be worth waiting in the general public line to get in a quick play session of Halo 5 or another big game, don’t bother; you’ll end up spending your entire day waiting. The line for Metal Gear Solid V was so long it actually ran out the entrance of a hall. I commend the dedication of anyone who waited in that enormous queue. 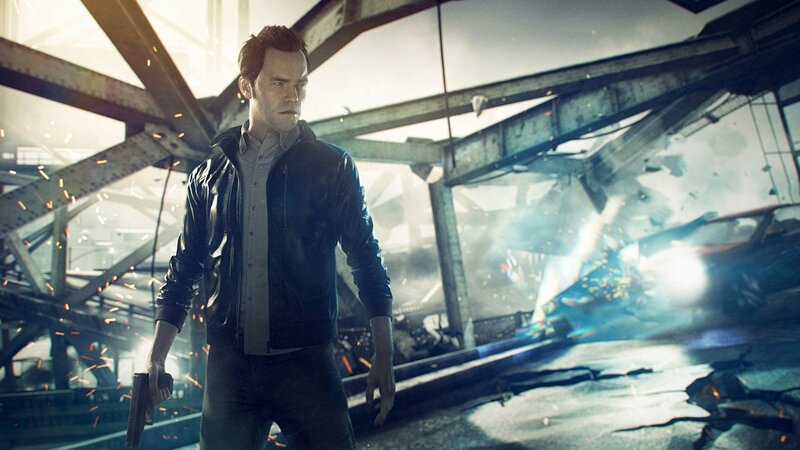 Despite the issues I ran into, I had a great time at Gamescom and was lucky enough to see closed-door presentations of Quantum Break (where I actually got to interview Shawn Ashmore), Scalebound, Mafia III (the game looks incredible), and Fallout 4, as well as countless other titles. I even got to check out Microsoft’s Gamescom press conference live and in-person. It’s also always a thrill to see well-known journalists and gaming personalities I admire like Geoff Keighly, Microsoft’s Larry Hryb (Major Nelson), and other celebrities wandering the show floor as well.